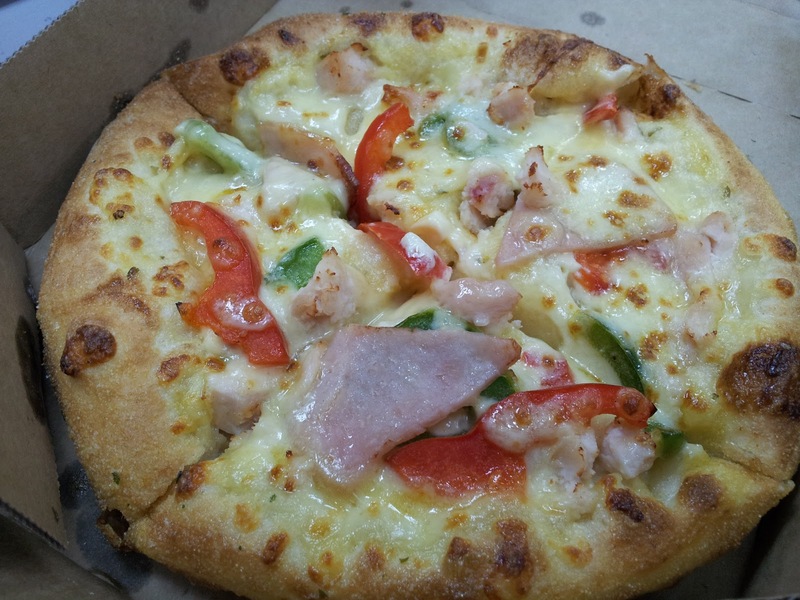 Auntie Rosalind suggest to have pizza for lunch .... so she volunteer to go opposite to buy Domino Pizza and it cost only $5 for a personal pizza and a can of drink. 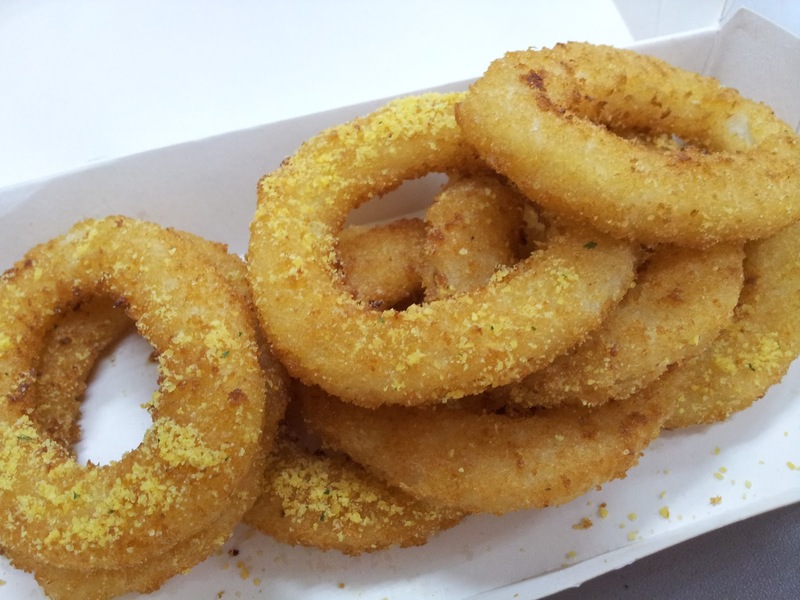 Rosalind add on about $2+ to get the onion rings to go along too. 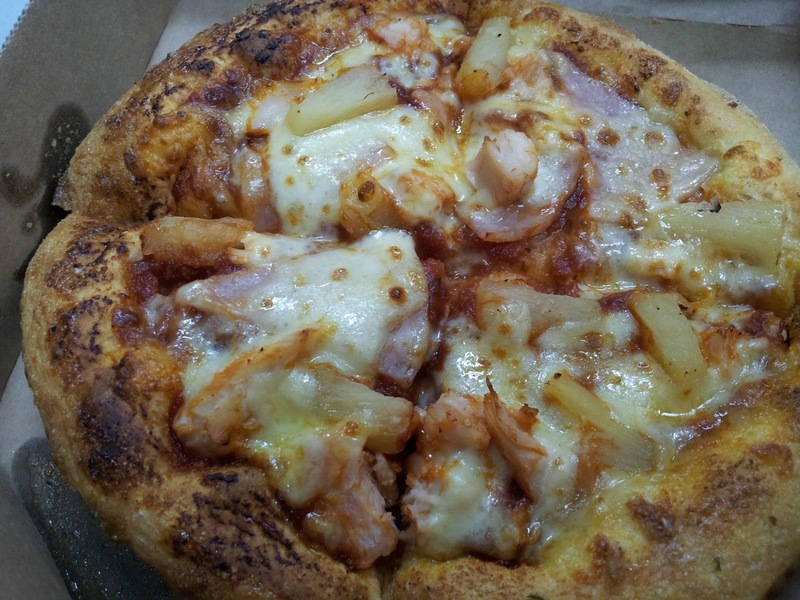 She ordered Hawaiian while I pick chicken temptation .... that we swop 2 pieces so that we can enjoy 2 flavour! Not too bad having a pizza near us ... so that we can have a change .... and pricing are reasonable too! In the afternoon, one instructor came with Tanjong Rhu bao .... and very nice of him still remembering I am a chinese whom dun take pork! 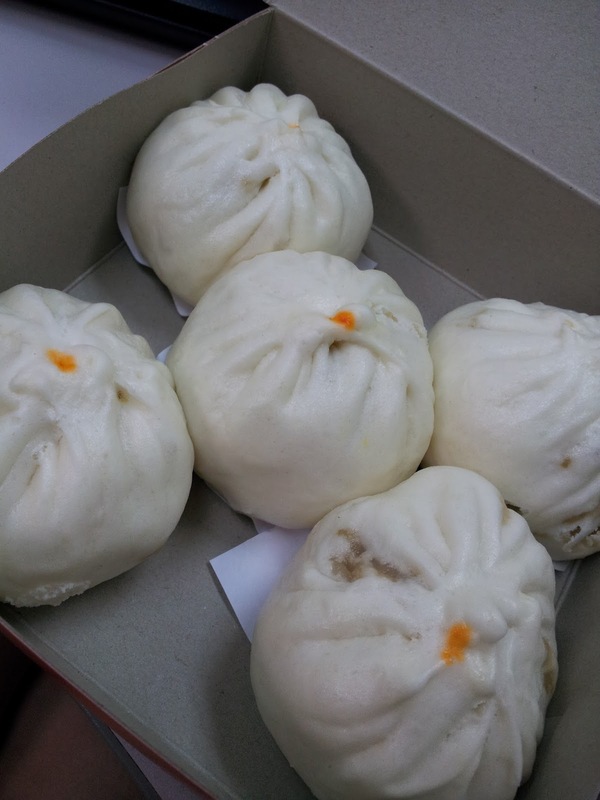 He bought chicken bao and I like it very much cos it come with egg inside too ...... mostly only pork one comes with eggs. Yummy! Thanks once again!